Hopes of delivering a £4.85million revamp of Littlehampton town centre has been dealt a blow after a funding application was rejected. Arun District Council unveiled plans to improve public spaces, including new paving and landscaping, last year. Crucially, the scheme relied on external funding – and Arun hoped the funds would be secured from the Government’s Coastal Communities Fund. A list of successful bids was released yesterday (Monday, April 4) but Arun’s bid was not included. Leader Gill Brown said: “We put forward an excellent scheme that would have transformed the town centre but unfortunately we weren’t successful on this occasion, which is disappointing. The Department for Communities and Local Government received 53 applications for a total of £81million. Just £40million was up for grabs. The council will be exploring alternative external funding streams in due course, a spokesman said. Independent Littlehampton town councillor Derrick Chester has submitted a number of questions ahead of Monday’s cabinet meeting on Monday. 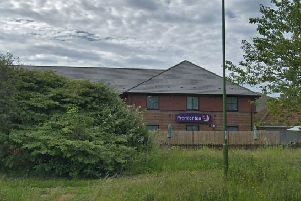 Referencing Mr Chester’s comments, Simon Vickers, chairman of Littlehampton Traders’ Partnership, said the former Waitrose site could not be linked to the bid as the lease was outside of the council’s control. He praised the town’s low vacancy rate and, while disappointed with the news, was sure council officers would bid for other funding. “Obviously we are very disappointed but the designers, the traders’ partnership and the council’s regeneration department have done a huge amount of work in preparation for this. “Decisions can be made for political as well as economic reasons but I think there are a lot of positives in the town still. The town centre proposals were drawn up by LDA Design, which masterminded the award-winning East Bank regeneration project. LDA Design also revealed concept drawings for revamping the seafront last month. The scheme is also unfunded. Click here to view the seafront designs. Click here to view the rejected town centre plans.